Custom white frame classic sunglasses with neon assorted color arms are perfect for wowing your customers and guests during summers. Bearing neon colored arms and white frames, these sunglasses are sure to make an impact with their special design. Made of high quality plastic and empowered with UV 400 lenses, these custom sunglasses cast impressions on the go. With neon in fashion, people would enjoy wearing it to outdoor gatherings and parties. Free online design proof offered. 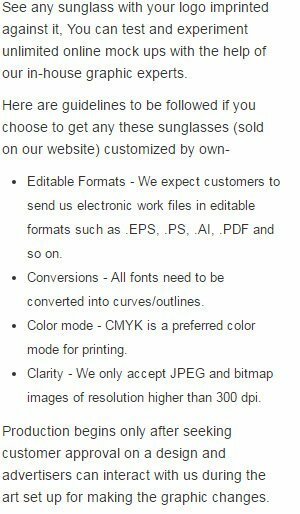 Request a quote to know what you may save on bulk ordering these customized white frame classic sunglasses with neon assorted color arms. Features – Offers UV 400 protection. White frames with neon colored arms.